We understand that online safety is a top priority for parents and teachers who are providing internet access to younger children and teens alike. Safe search resources for the internet should not replace proper parental or teacher supervision. Here are few tips to encourage internet safety when surfing the world wide web whether at home or in school. Have an open conversation with your kids about safe browsing and computer use. With freedom comes responsibility. Do not replace parental or teacher supervision of computer use at home or at school with our safe search engine or any other. No search filtering software or tool is perfect. A good rule of thumb is to not allow internet use when a child is home alone without proper supervision, even with this Search Site for Kids search engine. Educate yourself on social media safety and have open discussions with teens about present dangers and long term effects of inappropriate conduct, including posting pictures online. Keep your computer in an open area. If your computer is in a home office, make a rule that doors are always left open when online. It’s not a good idea to allow computers or laptops in your kids bedrooms, even while using the free internet filter, unless they are close to the main area of the house such as the kitchen or living room with doors left open. Do not allow internet use after you’ve gone to bed at night no matter how good your computer security software is or how confident you are in kids search engines. Consider installing parental control software to give you completed control over how kids access the internet. If your child is searching for videos on YouTube, learn how you can activate YouTube parental controls. Do not allow file sharing programs to be installed on your computer. Only use safe and secure music download programs from trusted sources on the internet. Internet Safety Tips – What Kids Can Do! Do not give out personal information about yourself online without your parent’s permission. This includes your name, where you live or your telephone number. Never to agree to meet someone that you have met online. If you do not know the person in ‘real life’, tell your parents about anyone this is asking to meet you. Talk to your parents first about pictures you want to post online, whether they be of yourself or your friends and family members. Do not respond to messages you receive that are mean or speaking meanly about others. Tell your parents about these messages. 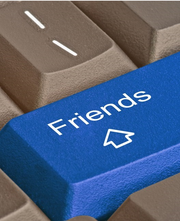 Do not give out any of your passwords to friends or anyone you meet online. Check with your parents first before downloading or installing any software on your computer. Ensure privacy settings on activated on all of social media websites you use. Always be kind of others online. Do not do anything that may hurt others including joining in conversations discussing other people’s problems. Be careful about discussing details about your own personal problems with your friends online. It is better to speak to them in person. Tell your parents or teacher if you are struggling with something. Remember that the rules for online safety also apply to texting on your phone. Agree to computer rules set up by your parents, teachers or guardians. With freedom and trust comes the expectation that you will act responsibly. Internet Accountability: The Covenant Eyes Filter provides options: Decide the times of day the Internet may be used, and how much time per day or per week the Internet may be surfed under each username. Choose whether to block or to allow specific websites specific to each username. This software can be used to help block instant messaging, file sharing, and other protocols. The basic Covenant Eyes Accountability feature teaches safe browsing habits. Just knowing that an extra set of eyes in watching, encourages your family members to be responsible when surfing the internet. Learn more. For complete control, especially for younger children or for those times you are not available to monitor computer activity, explore parental control software which actually blocks access to inappropriate content online. Internet safety should be the first priority of any parent or guardian when seeking protection of children online. It certainly can be a balance to juggle freedom on the internet with a safe level of online restrictions. Implement safe search using a kids search engine along with a filtering software program. Safe Search for Kids is designed to work hand in hand with supervision by parents and educators.